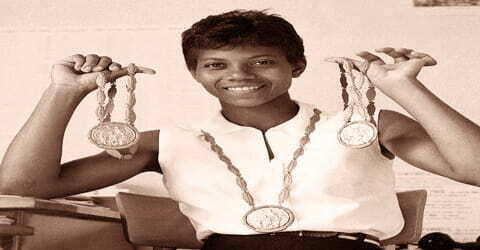 Wilma Rudolph – American sprinter from Clarksville, Tennessee. Children: Djuanna Eldridge, Yolanda Eldridge, Xurry Eldridge, Robert Eldridge Jr.
Wilma Rudolph, American sprinter, the first American woman to win three track-and-field gold medals in a single Olympics, was born prematurely at 4.5 pounds (2.0 kg) on June 23, 1940, in Saint Bethlehem, Tennessee (now part of Clarksville, TN). She was a sickly child who had to wear a brace on her left leg. She overcame her disabilities to compete in the 1956 Summer Olympic Games, and in 1960, she became the first American woman to win three gold medals in track and field at a single Olympics. Later in life, she formed the Wilma Rudolph Foundation to promote amateur athletics. Rudolph competed in the 200-meter dash and won a bronze medal in the 4 × 100-meter relays at the 1956 Summer Olympics at Melbourne, Australia. She also won three gold medals, in the 100- and 200-meter individual events and the 4 x 100-meter relay at the 1960 Summer Olympics in Rome, Italy. Rudolph was acclaimed the fastest woman in the world in the 1960s and became the first American woman, to win three gold medals in a single Olympic Games. Due to the worldwide television coverage of the 1960 Summer Olympics, Rudolph became an international star along with other Olympic athletes such as Cassius Clay (later known as Muhammad Ali), Oscar Robertson, and Rafer Johnson who competed in Italy. As an Olympic champion in the early 1960s, Rudolph was among the most highly visible black women in America and abroad. She became a role model for black and female athletes and her Olympic successes helped elevate women’s track and field in the United States. Rudolph is also regarded as a civil rights and women’s rights pioneer. In 1962 Rudolph retired from competition at the peak of her athletic career as the world record-holder in the 100- and 200-meter individual events and the 4 × 100-meter relays. After competing in the 1960 Summer Olympics, the 1963 graduate of Tennessee State University became an educator and coach. Rudolph and her achievements are memorialized in a variety of tributes, including a U.S. postage stamp, documentary films, and a made-for-television movie, as well as in numerous publications, especially books for young readers. However, her retirement came quite early (when she was just twenty-two) and she chose not to participate in the Olympics for the third time. The time when she flourished as an athlete, neither the media nor any big agencies endorsed athletes, like the way they do nowadays. Therefore, even after setting records at the Olympic Games Rudolph’s livelihood was quite modest. She had to rely on jobs, other than just pursuing the sport. 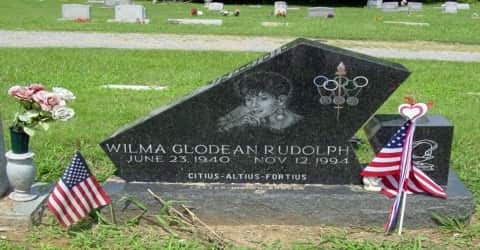 Wilma Rudolph, in full Wilma Glodean Rudolph, was born on June 23, 1940, St. Bethlehem, near Clarksville, Tennessee, U.S. She was born a premature baby weighing just 4.5 pounds to Ed who was a gatekeeper at railways and Blanch who worked as a maid. She was the twentieth of twenty-two siblings from her father’s two marriages. Shortly after Wilma’s birth, her family moved to Clarksville, Tennessee, where she grew up and attended elementary and high school. Her father, Ed, who worked as a railway porter and did odd jobs in Clarksville, died in 1961; her mother, Blanche, worked as a maid in Clarksville homes and died in 1994. When she was four she contracted infantile paralysis because of the poliovirus, from which she recovered but her left leg and foot needed to be supported with a brace. She had the brace until she was nine and for another two years, she had to wear an orthopedic shoe. Rudolph was initially homeschooled due to the frequent illnesses that caused her to miss kindergarten and first grade. She began attending second grade at Cobb Elementary School in Clarksville in 1947 when she was seven years old. However, by the age of twelve she had recovered fully and in 1952 she becomes normal. Growing up in the segregated South, Rudolph attended the all-black Burt High School, where she played on the basketball team. A naturally gifted runner, she was soon recruited to train with Tennessee State University track coach Ed Temple. Rudolph graduated from Tennessee State with a bachelor’s degree in education in 1963. Rudolph’s college education was paid for through her participation in a work-study scholarship program that required her to work on the TSU campus for two hours a day. Rudolph was married twice, with both marriages ending in divorce. She was first married to William Ward, a member of the North Carolina College at Durham track team, in 1961, whom she divorced 17 months later. After her graduation from Tennessee State in 1963, Rudolph married Robert Eldridge, her high school sweetheart, with whom she already had a daughter, Yolanda, born in 1958. Rudolph and Eldridge had four children: two daughters (Yolanda, born in 1958, and Djuanna, born in 1964) and two sons (Robert Jr., born in 1965, and Xurry, born in 1971). The seventeen-year marriage ended in divorce. This legendary female sprinter from Tennessee had suffered from polio in her leg for most of her childhood, before becoming the world’s no.1 sprinter. Wilma Rudolph was sickly as a child and could not walk without an orthopedic shoe until she was 11 years old. Her determination to compete, however, made her a star basketball player and sprinter during high school in Clarksville, Tennessee. She was qualified for the 1956 Summer Olympic Games in Melbourne, Australia. The youngest member of the U.S. track and field team at age 16, she won a bronze medal in the 400-meter relay. She attended Tennessee State University from 1957 to 1961. In 1960, before the Olympic Games at Rome, she set a world record of 22.9 seconds for the 200-meter race. In the Games themselves she won gold medals in the 100-meter dash (tying the world record: 11.3 seconds), in the 200-meter dash (see photograph), and as a member of the 4 × 100-meter relay team, which had set a world record of 44.4 seconds in a semifinal race. She was Amateur Athletic Union (AAU) 100-yard-dash champion (1959–62). Rudolph was first introduced to organized sports at Burt High School, the center of Clarksville’s African American community. After completing several years of medical treatments to regain the use of her left leg, Rudolph chose to follow in her sister Yolanda’s footsteps and began playing basketball in the eighth grade. Rudolph continued to play basketball in high school, where she became a starter on the team and began competing in track. In her sophomore year, Rudolph scored 803 points and set a new record for high school girls’ basketball. Rudolph’s high school coach, C. C. Gray, gave her the nickname of “Skeeter” (for mosquito) because she moved so fast. In 1958 Rudolph enrolled at Tennessee State, where Temple continued as her track coach. In 1959, at the Pan American Games in Chicago, Illinois, Rudolph won a silver medal in the 100-meter individual event, as well as a gold medal in the 4 × 100-meter relays with teammates Isabelle Daniels, Barbara Jones, and Lucinda Williams. In addition, Rudolph won the AAU 100-meter title in 1959 and defended it for four consecutive years. During her career, Rudolph also won three AAU indoor titles. While playing for her high school basketball team, Rudolph was spotted by Ed Temple, Tennessee State’s track and field coach, a major break for the active young athlete. The day that Temple saw the tenth grader for the first time, he knew she was a natural athlete. Rudolph had already gained some track experience on Burt High School’s track team two years earlier, mostly as a way to keep busy between basketball seasons. As a high school sophomore, Rudolph competed at Alabama’s Tuskegee Institute in her first major track event. Although she lost the race, Rudolph was determined to continue competing and win. Rudolph soon blossomed into a fine basketball player. As a sophomore, she scored 803 points in twenty-five games, a new state record for a player on a girls’ basketball team. She also started running in track meets and found that her greatest strengths lay in the sprint. She was only fourteen when she attracted the attention of Ed Temple, the women’s track coach at Tennessee State University. Temple told her she had the potential to become a great runner, and during the summer breaks from high school, she trained with him and the students at Tennessee State. After her success in the 1956 Olympics, she participated in the 1960 Rome Olympics. She won the 100 meter-dash in 11 seconds and the 200 meter-dash in 23.2 seconds, the second one is a new Olympic record. She also won the 4x 100-meter relay in 44.5 seconds, along with fellow sprinters Martha Hudson, Lucinda Williams, and Barbara Jones, to set a new world record. After trying a world record with her time of 11.3 seconds in the 100-meter semifinals, she won the event with her wind-aided mark of 11.0 seconds in the final. Similarly, Rudolph broke the Olympic record in the 200-meter dash (23.2 seconds) in the heats before claiming another gold medal with her time of 24.0 seconds. She was also part of the U.S. team that established the world record in the 400-meter relay (44.4 seconds) before going on to win gold with a time of 44.5 seconds. As a result, Rudolph became the first American woman to win three gold medals in track and field at a single Olympic Games. The first-class sprinter instantly became one of the most popular athletes of the Rome Games as well as an international superstar, lauded around the world for her groundbreaking achievements. Rudolph also brought her 400-meter relay team from behind to win the gold. The French called her “La Gazelle.” Without question, Rudolph’s achievements at the 1960 Olympic Games remain a stand-out performance in the history of Olympic competition. Rudolph was one of the most popular athletes of the 1960 Rome Olympics and emerged from the Olympic Games as “The Tornado, the fastest woman on earth.” The Italians nicknamed her “La Gazzella Nera” (“The Black Gazelle”) and the French called her “La Perle Noire” (“The Black Pearl”). Along with other 1960 Olympic athletes such as Cassius Clay (later known as Muhammad Ali), Oscar Robertson, and Rafer Johnson, Rudolph became an international star due to the first worldwide television coverage of the Olympics that year. The 1960 Rome Olympics launched Rudolph into the public spotlight and the media cast her as America’s athletic “leading lady” and a “queen,” with praises of her athletic accomplishments as well as her feminine beauty and poise. Following the Games, Rudolph made numerous appearances on television and received several honors, including the Associated Press Female Athlete of the Year Award in both 1960 and 1961. She retired from competition not long after, and went on to teach, coach and run a community center, among other endeavors, though her accomplishments on the Olympic track remained her best known. Rudolph’s gold-medal victories in Rome also “propelled her to become one of the most highly visible black women across the United States and around the world.” Her Olympic star status also “gave an enormous boost to the indoor track circuit in the months following the Olympic Games in Rome.” In 1961 Rudolph competed in the prestigious, Los Angeles Invitational indoor track meet, where thousands turned out to watch her run. In addition, she was invited to compete in New York Athletic Club track events and became the first woman invited to compete at the Melrose Games. Rudolph was also invited to compete at the Penn Relays and the Drake Relays, among others. 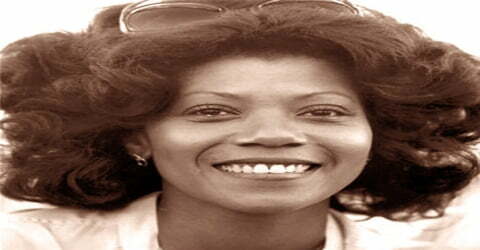 Wilma Rudolph became an instant celebrity in Europe and America. Crowds gathered wherever she was scheduled to run. She was given ticker tape parades, an official invitation to the White House by President John F. Kennedy (1917–1963), and a dizzying round of dinners, awards, and television appearances. 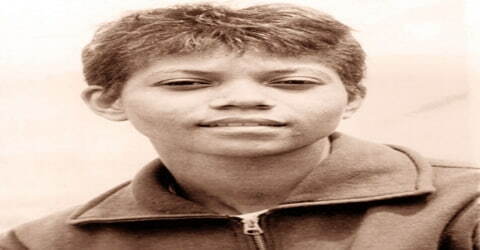 She made one decision that she stuck to firmly: she refused to participate in the 1964 Olympic Games. Rudolph felt that she might not be able to duplicate her achievement of 1960, and she did not want to appear to be fading. She retired from amateur athletics in 1963, finished her college work, and became a school teacher and athletic coach. She also became a mother, raising four children on her own after two divorces. For more than two decades, Wilma Rudolph sought to impart the lessons she learned about amateur athletics to other young men and women. She was the author of an autobiography, Wilma, which was published in 1977 and the subject of a television movie based on her book. She lectured in every part of America and even served in 1991 as an ambassador to the European celebration of the dismantling of the Berlin Wall, the wall that for three decades separated East from West Berlin, Germany. Rudolph helped to open and run inner-city sports clinics and served as a consultant to university track teams. 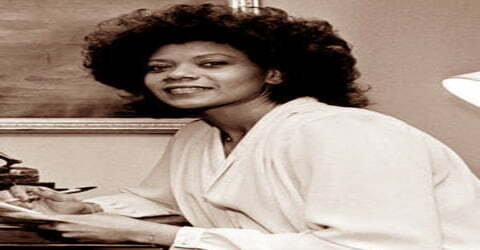 She also founded her own organization, the Wilma Rudolph Foundation, dedicated to promoting amateur athletics. In the 1980s, she was inducted into the U.S. Olympic Hall of Fame and established the Wilma Rudolph Foundation to promote amateur athletics. In 1960, Rudolph has titled the ‘United Press Athlete of the Year’ as well as the ‘Associated Press Woman Athlete of the Year’. She was also the ‘Associated Press Woman Athlete of the Year’ for 1961 and received the ‘James E. Sullivan Award’, the highest honor for an amateur athlete in the U.S. 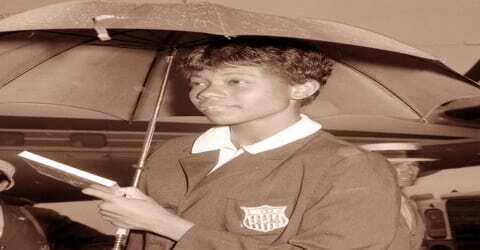 In 1973, she was inducted into the ‘National Black Sports and Entertainment Hall of Fame’ and a year later, she entered the ‘National Track and Field Hall of Fame’. Her induction to the ‘United States Olympic Hall of Fame’, which honors the topmost athletes in America, took place in 1983. Rudolph was awarded the ‘National Sports Award’ in 1993 and was inducted to the ‘National Women’s Hall of Fame’ the next year. On August 11, 1995, the Tennessee State University named a six-story dormitory the ‘Wilma G. Rudolph Residence Center.’ in her honor. There is a ‘Wilma Rudolph Courage Award’, presented by the Woman’s Sports Foundation in the U.S. for the best women athletes. The awarded was given for the first time to Jackie Joyner-Kersee in 1996. In July 1994 (shortly after her mother’s death), Rudolph was diagnosed with brain cancer. She also had been diagnosed with throat cancer. 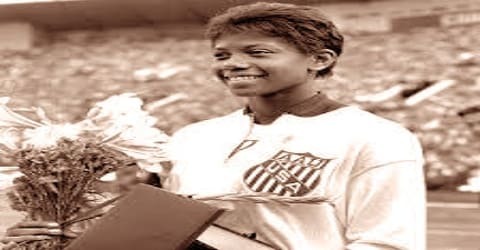 Wilma Rudolph died on November 12, 1994, at her home in Brentwood, Tennessee, after losing a battle with brain cancer. Her funeral service was held at Edgefield Missionary Baptist Church in Clarksville, Tennessee. She was survived by her four children, eight grandchildren, and many siblings, nieces, and nephews. Thousands of mourners filled Tennessee State University’s Kean Hall on November 17, 1994, for the memorial service in her honor. Across Tennessee, the state flag flew at half-mast. Rudolph’s legacy lies in her efforts to overcome obstacles that included childhood illnesses and physical disability to become the fastest woman runner in the world in 1960. At the 1960 Rome Olympics, she became the first American woman to win three gold medals in a single Olympiad. Rudolph was one of the first role models for black and female athletes. Her Olympic success “gave a tremendous boost to women’s track in the United States.” Rudolph’s celebrity also caused gender barriers to be broken at previously all-male track and field events such as the Millrose Games. 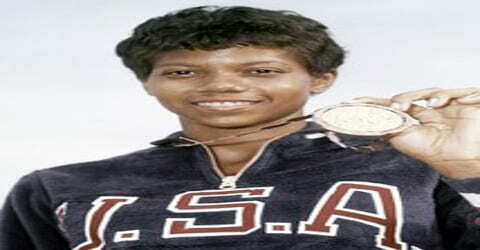 She was named to the National Track & Field Hall of Fame in 1974, the International Sports Hall of Fame in 1980, and the U.S. Olympic Hall of Fame in 1983, in the first group of inductees. Her autobiography, Wilma, was published in 1977. She traveled frequently and was well known for her motivational speeches to youngsters. Rudolph is remembered as one of the fastest women in track and as a source of great inspiration for generations of athletes. She once stated, “Winning is great, sure, but if you are really going to do something in life, the secret is learning how to lose. Nobody goes undefeated all the time. If you can pick up after a crushing defeat, and go on to win again, you are going to be a champion someday.” In 2004, the United States Postal Service honored the Olympic champion by featuring her likeness on a 23-cent stamp.